The Wärtsilä Propulsion Test Centre in Tuusula, Finland. A new technology research programme aimed at developing propulsion products specifically for operating in arctic conditions has been implemented with Wärtsilä and VTT, the Technical Research Centre of Finland, as the main contributors. The ArTEco (Arctic Thruster Ecosystem) project will altogether be supported by ten industrial and academic partners from Finland and other countries. ArTEco is a three year programme, commencing in 2015 and ending in 2017. Its primary aim is to foster new technology for propulsion solutions in an arctic operating environment. The platform will consist of developing state-of-the-art simulation and load determining methods for dynamic loading conditions; researching possibilities for dampening dynamic loads; researching the use of Environmentally Acceptable Lubricants in propulsion products; and researching new sensor technology for components used in propulsion products. The new technology that is expected to emerge from this project will have the potential to significantly improve the competitiveness of solutions, in terms of cost, size and reliability, compared to products currently available. This will be aided through the creation of a technology demonstrator, i.e. a large-scale prototype, to be used for validating the technology within the project. This validation will take place at the Wärtsilä Propulsion Test Centre in Tuusula, Finland. The specific focus will be on creating an Extreme Value Thruster as a platform for demonstrating quantum leaps in thruster technologies. 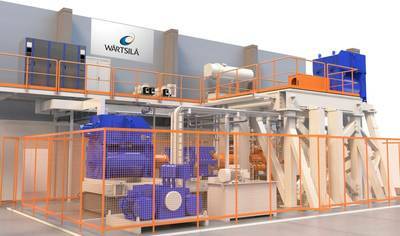 Wärtsilä is confident that this research will form the foundation of an extended and highly advanced product portfolio. The programme has a budget of EUR 7.5 million. "The challenge to create increasingly reliable and competitive solutions is ongoing. Wärtsilä has a duty to its customers to ensure that its R&D activities are supported by the best tools, technologies and partners so as to develop the best solutions. The creation of this project consortium will help us maintain our position as an innovator and technology leader within the marine sector. In particular, the state-of-the-art simulation methods and the possibility to carry out full scale validation of our new products will keep us at the forefront of new technology development," says Arto Lehtinen, Vice President, Propulsion, Wärtsilä Ship Power.